The days are getting shorter, the mist starts to pool at the waterfront, and it’s almost winter in Washington State. 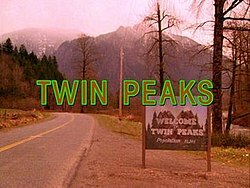 The mythical town of Twin Peaks is quintessential 1990’s Americana, but after the death of a beloved teen, FBI agent Dale Cooper is sent to investigate, and what he finds might be much, much more than he bargained for. Get ready to take a trip back to 1990 for Twin Peaks, the warped FBI drama that begs the question: Who Killed Laura Palmer? The Library owns it on DVD but you can also get the soundtrack and if you really get into it, you can go to the Downtown Branch of SPL and look at a guide to the town and show, Twin Peaks. This entry was posted in Teen Powered, TV and tagged drama, mystery, Television, tv on November 22, 2013 by Teen Blogger. Blast from the past! (or less than twenty years ago…) Sometimes it’s Sunday night and I just want to curl up on my bed and watch someone else’s high school experience – these are my absolute favorites. It’s as much fun to laugh at the woes of Angela Chase as it is to agree with them. Played by a young, redheaded (pilot starred the bottle of incriminating hair dye and a shocked mother) Claire Danes, Angela is a high school girl trying to break out of her sheltered life. She is perfect for her role, but everyone around her really makes the show: her kid sister, her crazy best friends, and the “totally dreamy” Jordan Catalano. Expect all kinds of drama: heartbreak, mother-daughter, coming of age… but don’t call it cheesy; it can’t be cheesy because it’s from the 90’s! One of my all-time favorites because this show is so darn sweet. You have your cliched cheerleaders and quarterbacks but they’re not the stars – the weird kids are. Quite literally, the Weir family is. Lindsay Weir is a geek (straight A’s, mathlete, button-up shirts) turned freak (skipping class, parties, band tees). To the geeks she has become a full-fledged freak, but the freaks are not ready to accept Lindsay and her tentativeness to stray from model student status. It’s hilarious and all the characters are lovable (most of all Lindsay’s brother Sam and his friends. They look more like 5th graders than freshmen); they just don’t make it like this anymore, do they? 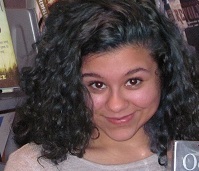 This entry was posted in Teen Powered, Tidbits, TV, Watch This! and tagged reviews, Television, tv, written by teens on April 27, 2013 by Teen Blogger. If you are a Glee fan, listen up. On September 10th a new wonderful Ryan Murphy show began. It is called The New Normal. The show follows a gay couple, Bryan and David, who are trying to have a child via surrogate. Their surrogate’s name is Goldie and she has a young daughter named Shania. Bryan and David want to be involved in Goldie’s life while she is pregnant, so they invite Goldie and Shania to stay in their guest house, causing many entertaining storylines. But the unfortunate result of this is Goldie’s grandmother popping in and dampening Bryan and David’s happiness of a new child. She is openly against gays, which causes even more drama and famously hilarious Ryan Murphy lines. The storyline is great, and I think it is a good subject matter to make people more aware of. I personally love the connections between Glee and The New Normal. For one, Bryan is a television producer, just as Ryan Murphy is. Even funnier is that one of the people on the show he produces is named Clea, an obvious Glee reference that I loved. If you are interested in a light hearted, fun show, tune in to NBC on Tuesdays at 9:30/8:30c. You can also check out more Ryan Murphy works, such as Glee and American Horror Story, from your local library. Enjoy! This entry was posted in Teen Powered, TV and tagged gay, Glee, humor, Television, tv, written by teens on December 2, 2012 by Teen Blogger. This entry was posted in OMG Controversy!, Opinions, Teen Powered, TV and tagged Comedy, politics, Television, written by teens on March 31, 2012 by Teen Blogger.